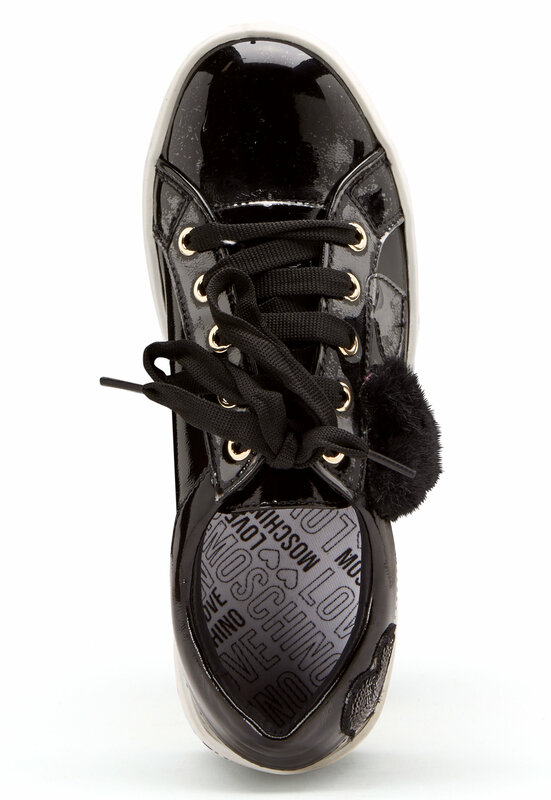 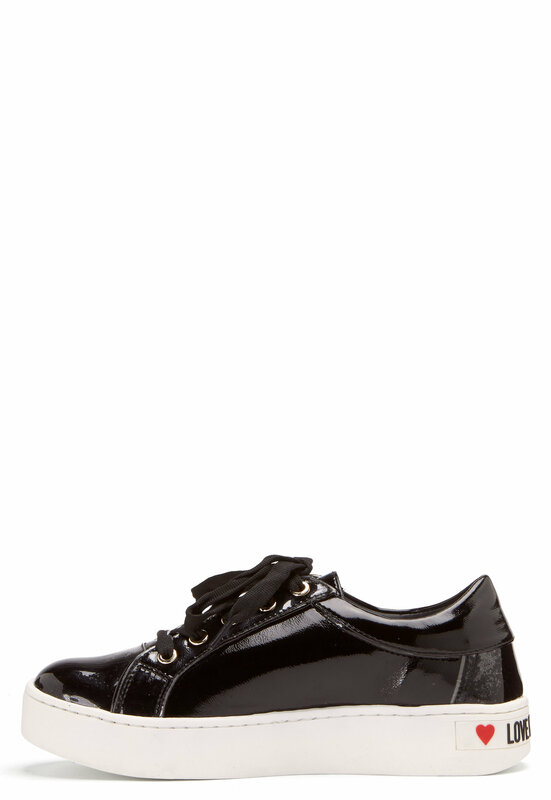 Elegant, high shine sneakers from LOVE MOSCHINO. 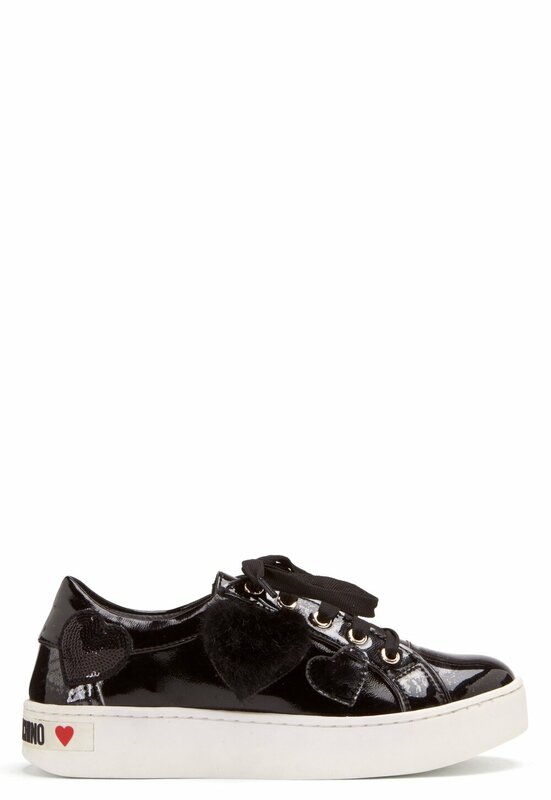 The shoes have cute heart-shaped leather and sequins details. 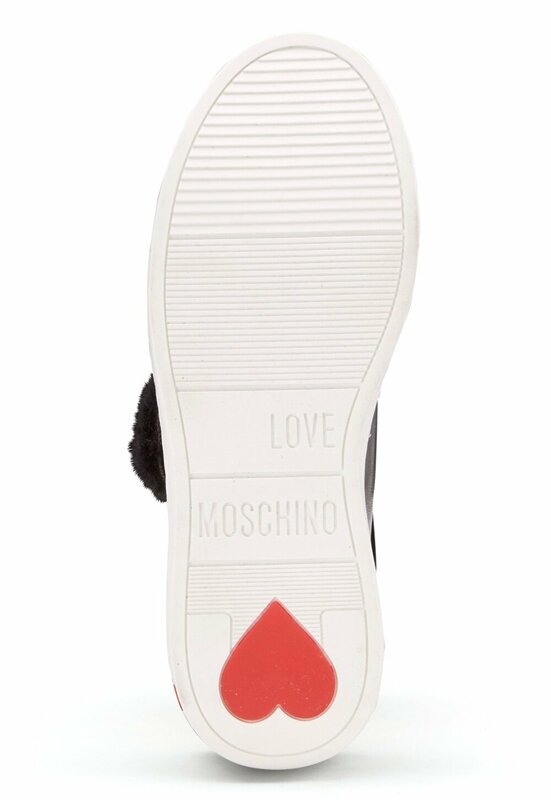 - Round toe - Lace up - High sole with logo at back - Heart-shaped details Sole height: 3.5 cm.